DePauw University develops leaders the world needs through an uncommon commitment to the liberal arts. DePauw's diverse and inclusive learning and living experience, distinctive in its rigorous intellectual engagement and its global and experiential learning opportunities, leads to a life of meaning and means. DePauw prepares graduates who support and create positive change in their communities and the world. 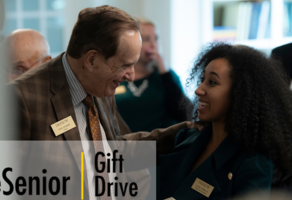 Make an impact at DePauw University! Connect with other Tigers on GiveCampus!